← Whooping cough coming our way! Sodium. A villain of sorts. Are you one of the 90% of Americans who consume too much sodium? 10 food categories account for a great deal of our sodium intake, per the Centers for Disease Control. salty snack foods (think popcorn, pretzels, and potato chips). Most American adults eat or drink twice the amount of recommended daily sodium. Most of the sodium is NOT added at the table. 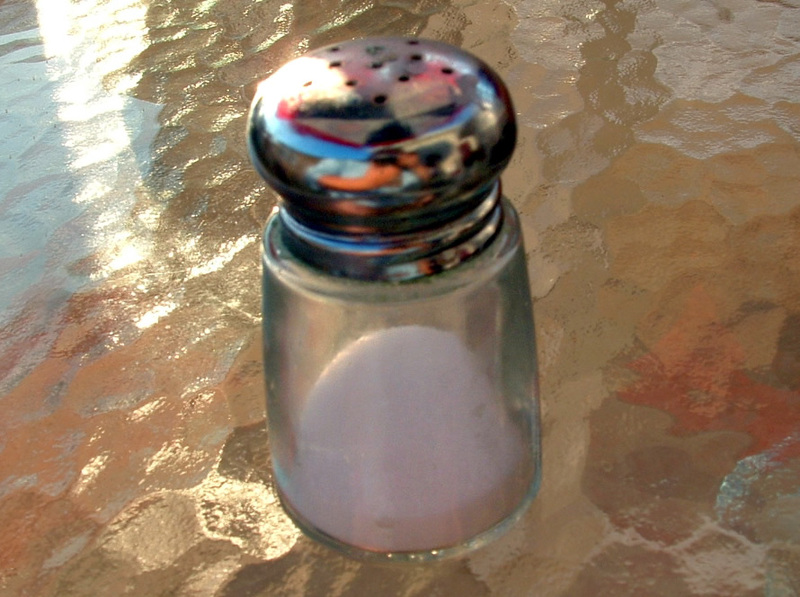 The US Dietary Guidelines recommend sodium intake at less than 2,300 mg/day. Whereas the average American consumes 3,300 mg daily from food alone. Those with high blood pressure, diabetes, chronic kidney disease and African-Americans are suggested to take in less than 1,500 mg/day of sodium. How to decrease your sodium intake? Eat more fresh (or frozen) fruits and vegetables. Prepare more food at home. Decrease eating out. Decrease eating processed (or boxed) foods. More information is available at www.cdc.gov/salt or information on the DASH low-sodium eating plan at www.nhlbi.nih.gov/health/health-topics/topics/dash. This entry was posted in Diabetes, General Medicine- Adults, Uncategorized and tagged Andover, diabetes, Dr. Greenberg, Dr. Leslie Greenberg, Family Doctor, Family Medicine, family physician, family practice, hypertension, kansas, salt, wichita. Bookmark the permalink.